Iiro Rantala in Trier. Photo credit: Ralf Dombrowski. 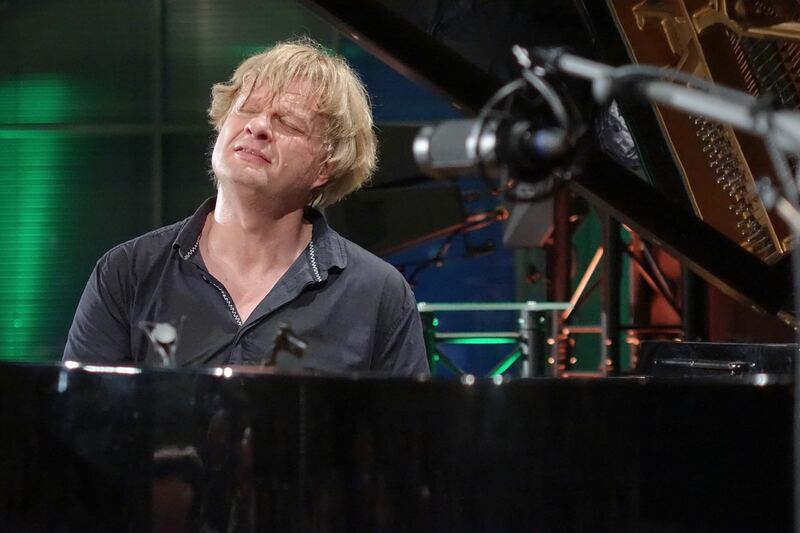 Iiro Rantala began with Bach, and closed with the Beatles. For him, that works just right; he sees the cantor of Leipzig and great improviser of the baroque as having invented jazz, and the Fab Four as the among the finest songwriters in the history of music. He himself is somewhere in the space between them, a brilliant pianist, a superb artist when it comes to finding variety, and a performer with a great sense of humour. He was playing in the large hall of the Conference Centre of IHK Trier, performing a delightful and entertaining solo concert in the cadre of the Mosel Music Festival, an on the occasion of being awarded the JTI Trier Jazz Award 2016. The award cited his cultured way of playing, open to all styles, in which he treats no musical area as off-limits. Fitting with that description, his programme took him to some of the greats of history. Leonard Bernstein popped up, as did John Lennon, and much that was personal too, such as doffs of the hat to Erroll Garner, or to his prematurely departed colleague Esbjörn Svensson, and he also included pieces dedicated to his sons Bruno und Topi. Rantala was greeted with a standing ovation at the end, and was clearly very moved both to receive the prize and by the warmth, even the heat, of the audience's response. NOTES: Iiro Rantala's latest album How Long is Now? is released on the ACT Label on 26th August, with a sleeve note by Sebastian.